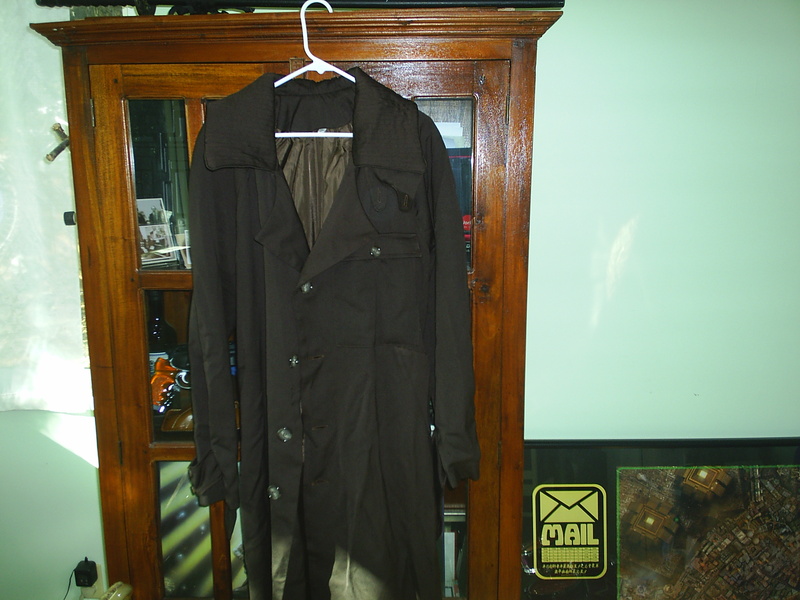 I am selling a nice Deckard trench that I bought on ebay. It is darker than the original but for $30, how can you go wrong? Please take a look. I added the other pictures from my ebay listing. Notice my tribute to Ben "Whitefall" Mund in the background? I want to post the nice display I made with his map and sign replicas soon. I was going to post that myself. It looks like a TrenchCo version. I think they may have become became Abbyshot. Good luck with the sale. Does anyone have any pics of the TrenchCo version? I'd be curious to compare it to the Abbyshot ones. 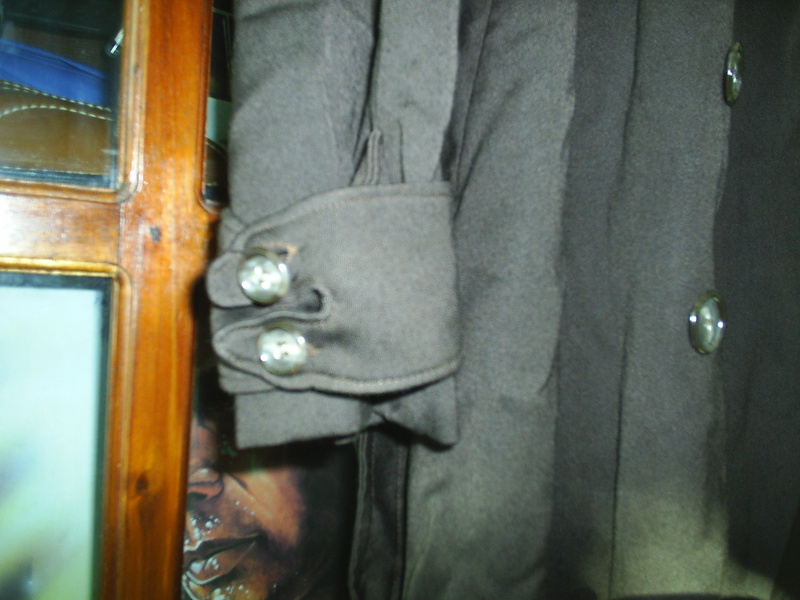 The first one looks more like the coat here than the TrenchCo. I believe the TrenchCo is just a prototype though. Niether them, nor Abbyshot had/has any rights to them I believe. 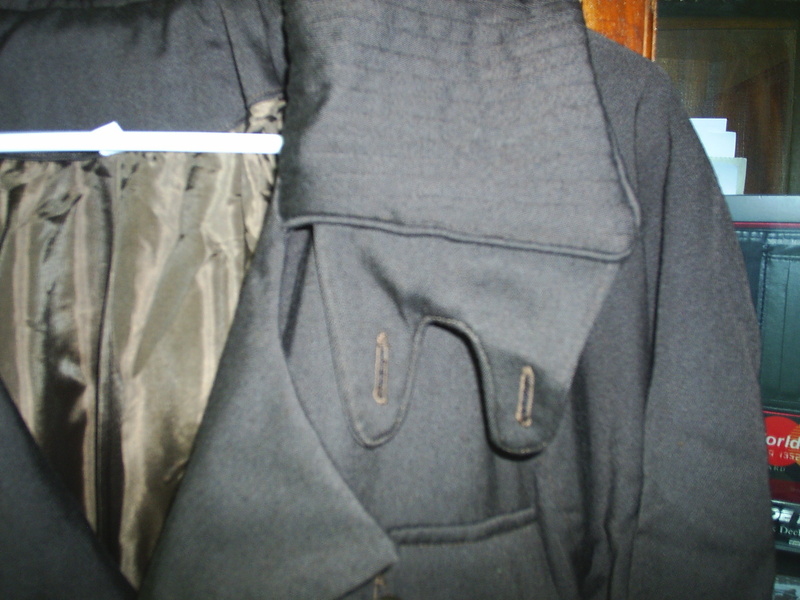 For anyone remotely interested, I added some more pictures of the coat. I edited my first post. No bids yet...getting down to the wire! yeah, I'm a bit puzzled. 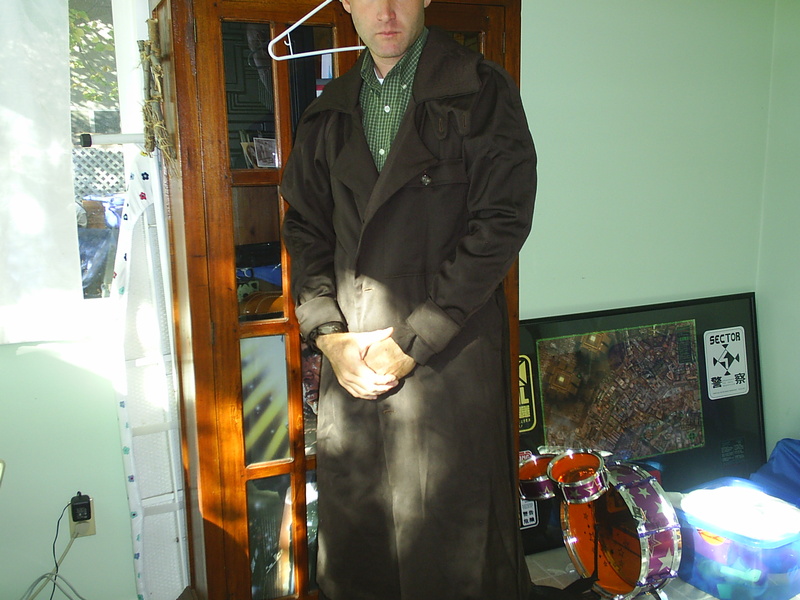 It's a decent enough coat and until Abbyshot it was really the only coat I've ever seen. You can't even buy the fabric needed for $30. I can't even bear to say what I paid. I'm hoping it will be a mad war at the last second, but usually if it is going to be, someone would have thrown in one bid by now. Come on somebody, throw me a bone. The action all happened towards the very end. A "sniper" won it. Congrats on your $162.50 sale. It prolly didn't cover what you paid but that is a pretty bitchen price. I wouldn't have been able to afford it at that level. It was ok. I just figured it was sitting around and with Halloween coming, I may as well try and get something. That last second stuff on ebay is too much. As a seller it's exciting to see your item jump in the last seconds, but I was trying to buy a metal spinner a few weeks back and you should have seen the action in the last thirty seconds of that auction. I always wonder are people sitting by their computers or does everyone just use that snipe software.